When I was an English Language Arts/Reading Intervention Content Coach for my school district, colleagues from neighboring school districts often would call for guidance and clarity regarding implementing a district wide intensive reading intervention program. My experience in implementing a Reading Intervention program successfully and with fidelity encompasses nine essential core components. 1. Selection of intervention teachers: Selecting (recruiting) the best teachers on each site for working with this student population makes a difference in the success. 2. Scheduling: Setting parallel classes in a master schedule so that students can be shifted between intervention classes according to ability & skills without upsetting an entire schedule. Scheduling is huge in intensive intervention. 90 minutes/day minimum is recommended in the master schedule for these classes. 3. Assessment: Deciding who will be given the placement tests for intensive intervention. What assessment will be administered? Will multiple measures be used in assessment? (Most districts use FBB or bottom quartile – depending on numbers who need intervention) What is your cutoff: below 30%, below 25%? Can students be assessed in 5th grade and 8th grade (spring) to inform master schedule needs for the middle schools and high schools in the fall. 6. Fidelity: Teachers need administrative support to teach the intervention with fidelity. If they are doing their own thing, you don’t know if the intervention is working. 7. Staff support: Administrators can encourage entire staffs to support literacy and the intervention teachers. Make literacy a site goal. Teaching intervention should not be entirely the job of the reading intervention teacher. A site’s literacy team might be made up of: reading intervention teachers, representatives from departments, counselor, and a site administrator. 8. Funding: Being creative about funding intervention materials: Teacher & student Core Program Components, supplementary materials, gender and culturally relevant classroom libraries, and technology components. Planning ahead for replenishing consumables is important. 9. 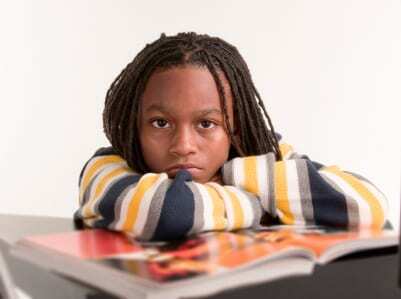 Motivation and Behavior: Intervention students often have difficulty with motivation about school and behavior issues. What district/site support is available to assist intervention teachers and their students? Toni M. McElroy, M.A. 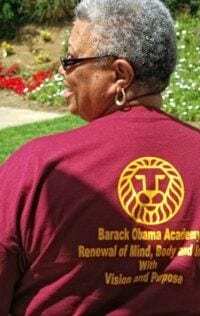 is the Principal of Barack Obama Academy, a small middle school in Oakland Unified School District for students who have struggled but who are committed to success in a dynamic new school. Barack Obama Academy’s primary goal is simple, to prepare every student for success in high school and beyond. Principal McElroy believes that with the student’s hard work, family support, and a nurturing and rigorous school community, success is achievable by every student. A Word from DRPF Consults: In anticipation of our new publication, Teaching Literacy: Keeping Up with the Times, we are now sharing different literacy issues and approaches. Others are welcome to submit literacy articles. Teaching Literacy: Keeping Up with the Times addresses the need for educators to look forward and implement the latest literacy strategies and to also understand the relationship between literacy and the Internet. Look for the ebook coming soon!